﻿ Hensville - Ohio. Find It Here. Hensville is a family-fun entertainment district in downtown Toledo, located adjacent to Fifth Third Field, home of the Toledo Mud Hens baseball team. It includes shops, restaurants, rooftop spaces, and a park.The Swamp Shop store have everything you need to showcase your Mud Hens, Toledo Walleye, and 419 pride.There are two restaurants located at Hensville. 'Holy Toledo Tavern' boasts a casual vibe and has dining indoors, outside on the patio and rooftops, as well as seating inside the ballpark. 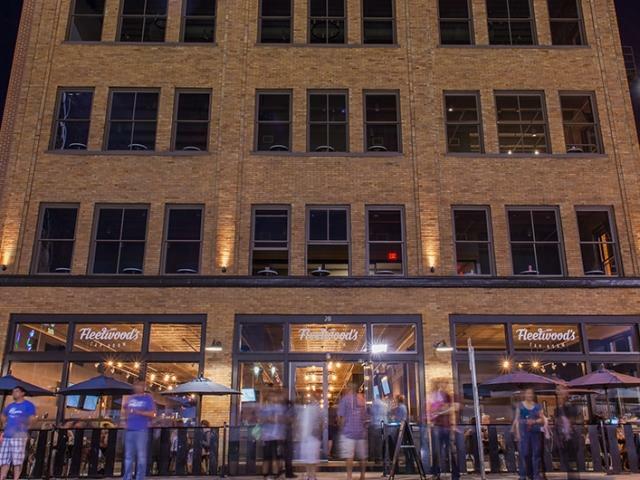 'Fleetwood's Tap Room' is a craft beer lover's paradise - with 48 beers on tap at any given time, this is the perfect place for a pregame or postgame drink.Each restaurant has rooftop access that overlooks the ballpark, downtown Toledo, and the Maumee River. 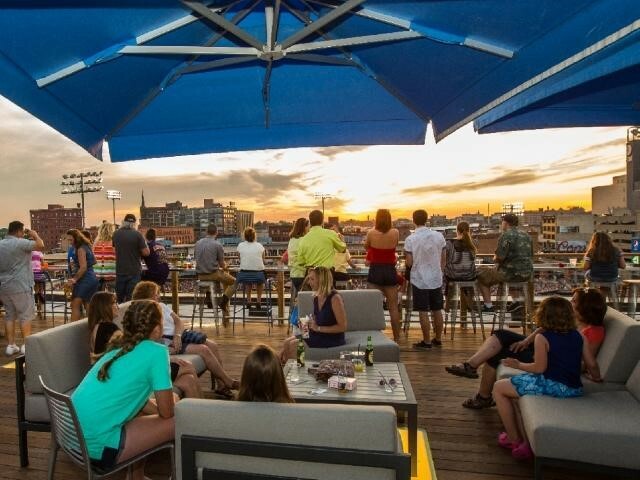 Enjoy dinner and drinks up here and take in the spectacular views of the ballgame.Hensville Park is located across the street from Fifth Third Field and hosts concerts, festivals, movie nights, and other events that people of all ages can enjoy.